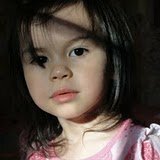 Does My 2 1/2 y.o Daughter Have Tactile Dysfunction: & Babanski's? Poor and sloppy control of arms and legs while running or walking. Unaware of the danger of walking down stairs, she tries to jump and skip steps. Low muscle tone, weak ankles and legs from knee down look like are crooked. Clkue: Her Mom has similar defect that she was told was from a childhood injection overdose in the Philipinnes. Has no concept of how to catch a ball or a slow floating baloon. EXTREME fear of being measured, weighed or examined. Puts head down almost touching on desk when drawing. Won't accept help when struggling to zipper her coat, has to do it herself and turn her back on us. Can't be alone in playpen without screaming for company. As baby did a lot of arching. As a baby skipped the crawling stage.